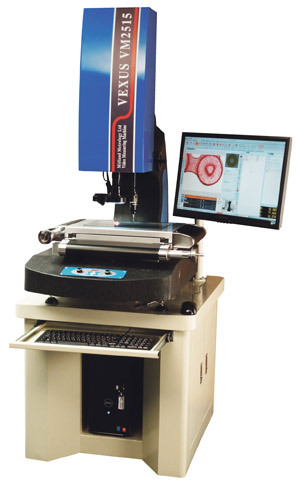 Trading locally, nationally and internationally, we are suppliers of both new and used precision measuring equipment. Our Midlands based showroom boasts a wide variety of machines, comprising profile projectors, video machines, hardness testers and granite products, all available to view and demonstrate. Having recently taken on 3 new members of staff, we are extremely proud to announce the launch of our brand new purpose built inspection room, which is in addition to our existing inspection and calibration facility. The newest member of our team, Mr Andy Holt, formerly of AC Inspection, will be heading up our new inspection department. He has a total of 25 years of experience in quality and inspection, and with his knowledge and expertise in this field, is well equipped to run our new department. 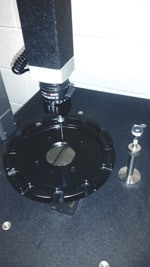 We undertake all types of sub contract inspection and measurement work, including machined parts, pressing and fabrications etc, with full detailed spreadsheet reporting included. If you are interested in finding out more about our first-rate inspection and calibration services, then please don’t hesitate to contact us today. We will be happy to discuss any individual requests and will be more than happy to solve any measurement issues you may have. Our showroom in Coventry is within easy reach of the M6, M1 and M40 motorways and we cordially invite you to visit, where you can meet the team, and we will be happy to demonstrate our capabilities and discuss your inspection and measurement requirements. We will be pleased to offer a no obligation quotation. This entry was posted in News and tagged Measurement, Monitoring, Testing. Bookmark the permalink.